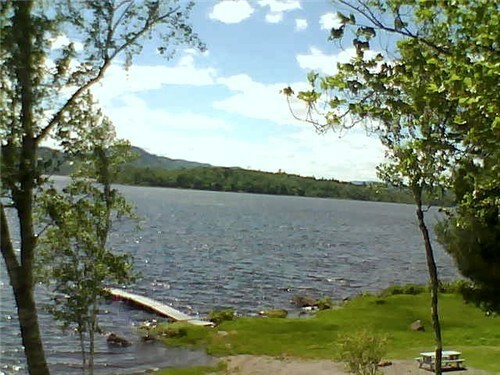 Another lovely view from our webcam but finally, we got the dock in. Then of course we got rain and the water rose quite a bit. But at least it is in, attached and ready to hook your boat on to. Come on up.